If you are like many, every year you resolve to cut back on your energy costs. You decide that, once and for all, you are going to “toughen up” and run the air conditioning less frequently. You will finally notch up your thermostat that extra degree or two and sweat it out. Yet when August rolls around again, where does all that resolve go? It is HOT, and all you want is to be COOL. Happily, this year we have some tips that will help you stay cool AND save on your summer cooling bills! P.S. Remember, you still have the rest of this month to enter for a chance to win a FREE air conditioner: read more about the contest HERE! Big fans, small fans, ceiling fans, floor fans—all fans are welcome in the hottest month of the year. Not only can using fans help you feel cooler than the actual reading on your thermostat, but fans can keep your indoor air fresher and cleaner through continuous circulating. 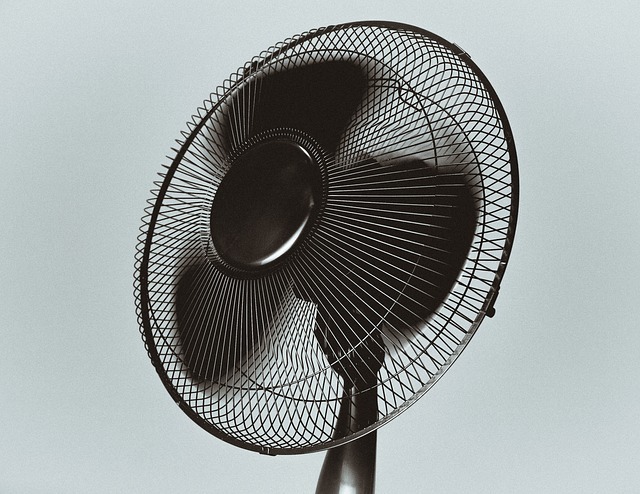 The one fan you DON’T want to use continuously is the one on your air conditioning unit. This fan will keep the air circulating, for sure, but it will also run up your energy bill to the tune of $50+ per month and increase the humidity in your indoor air. Continuously running your A/C unit’s internal fan will also increase wear and tear on the unit, which can mean earlier and more expensive maintenance and repairs. Keep your fan setting on the thermostat at Auto, particularly if the AC is off during cooler hours of the day. Opt for a low-cost floor or ceiling-mount fan instead to keep air circulating and keep it spinning. NOTE: If you use ceiling-mount fans, be sure you have the fan blades spinning in the right direction for summer! Most ceiling fans have a small switch near the light fixture. The summer setting pushes the air down towards the floor to cool the central areas of each room. You will be able to feel if the fan is on the right setting by standing beneath it. If there is air blowing on you, it is on the right setting. 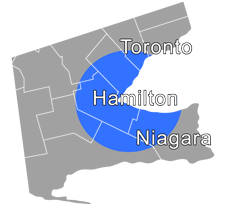 “Heat stress” is a medical term to describe what happens when indoor air gets too hot. Symptoms of heat stress can include rashes, fatigue, fainting, exhaustion, and even the potentially deadly heat stroke. When your oven or stove heats up, your house heats up correspondingly. This makes summer the perfect time to take your kitchen outdoors. 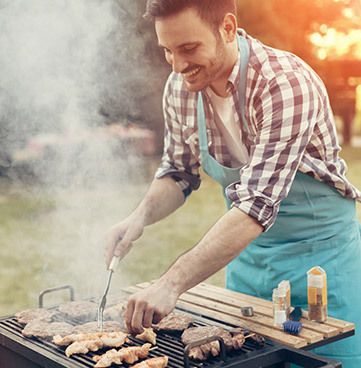 By using an outdoor grill (or even building your own solar oven—a great kid-friendly project), you can save up to double on energy bills, cut down wear and tear on your air conditioner and enjoy eating healthy grilled food. If you really like your home and office to stay cool, you may struggle with this tip. But you don’t have to change a thing about the temperature settings for when you are at home or at work—you can still keep those as cool as you like. The goal here is to program your thermostat to cycle off when you are not at work or at home. This accomplishes two money-saving goals. First, your A/C unit will work more efficiently to cool and dehumidify your indoor air when it cycles back on, because it will have to push more energy right away and work harder, which is how the unit was designed to work. Second, your A/C unit won’t have to run continuously, which will save on your annual A/C-related wear and tear and maintenance costs. 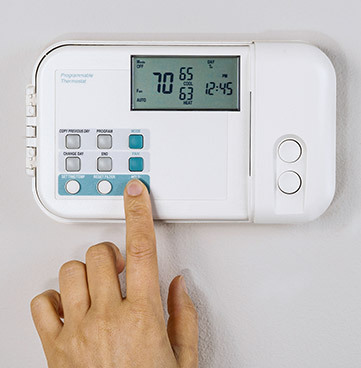 Save an estimated $8 per month for each degree you program your thermostat above 78°F (25.5°C). Program your thermostat to turn off one hour before you leave the house and to turn back on one hour before you return home again. While you are gone, program the thermostat for 82°F (28°C). This will save you an estimated 10 percent on monthly energy bills. Ask your energy company about peak and off-peak rate packages. If you can cut back on energy use during peak hours by switching to an off-peak plan, you can save more on energy costs each month. Keep the hot stuff (lamps, electronics, etc.) away from the thermostat. Any extra heat source can make the thermostat think it is hotter inside than it is, which will cause your air conditioner to run (and spend your cash) unnecessarily. Cover the unit with an awning to keep the direct sun off of it. Plant some fast-growing bushes or trees near the unit to provide some natural shade (however, be sure to keep the immediate area around the unit clear with at least 4 feet for ventilation). If your HVAC unit is more than a decade old, you may not be able to control energy expenses. The newer Energy Star-certified HVAC units are simply better at cooling than their predecessors. A well-timed replacement can save you 20 percent or more per month. Enter to Win a FREE A/C! Now through the end of August, Shipton’s is giving away a FREE brand-new Energy Star air conditioner to one lucky winner! One winner has already been chosen and the next will be announced the first week of September. Don’t wait: Enter To Win Today!